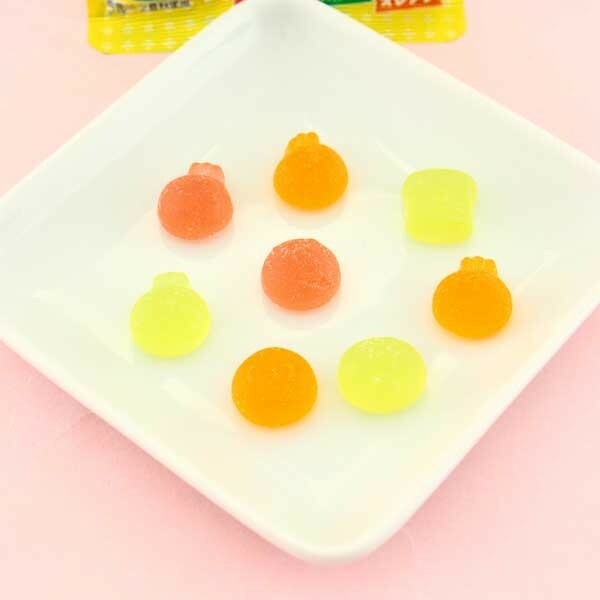 Japanese really love candies by Fujiya, and they also cherish the super famous character, Anpanman! 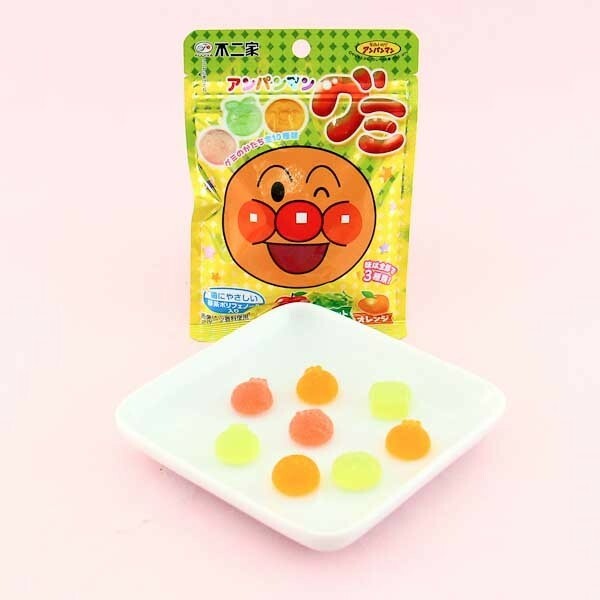 These gummy candies are in shape of various Anpanman character faces! The candies come in 3 delicious fruit flavors: apple, grape, and orange! The texture is so cute and soft you just want to squeeze them before eating! This re-sealable bag is the perfect treat to bring with you on your adventures, and to share with your friends!